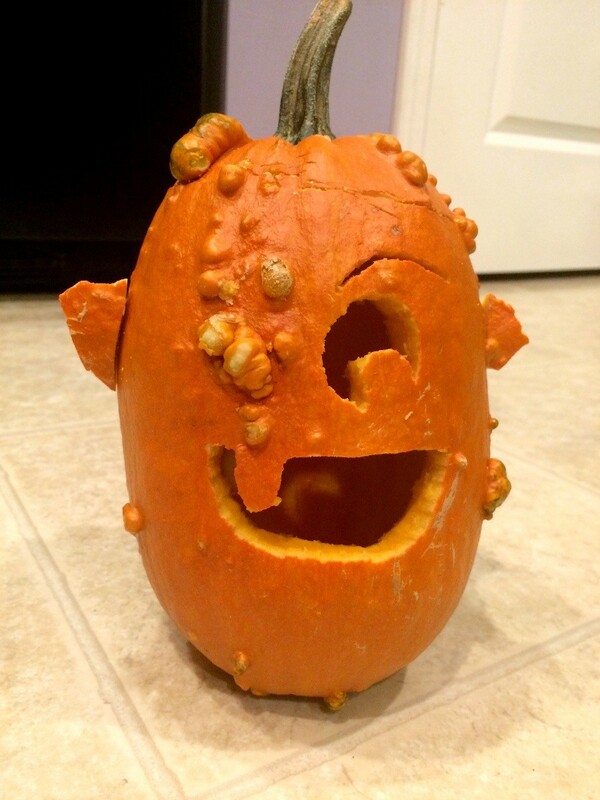 My pumpkin was small and had very tough skin! After bending two pumpkin carving knives and not being able to get through it with a pocket knife, I finally had to use a drill. Using a small bit, I made small holes along my design so that a knife could be used. 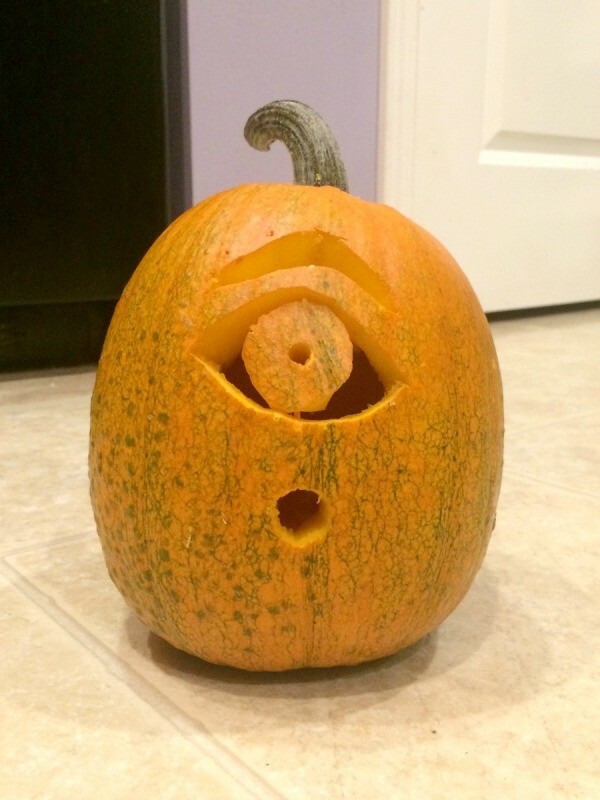 Because of how hard it was to carve, I tried to keep my design as simple as possible. 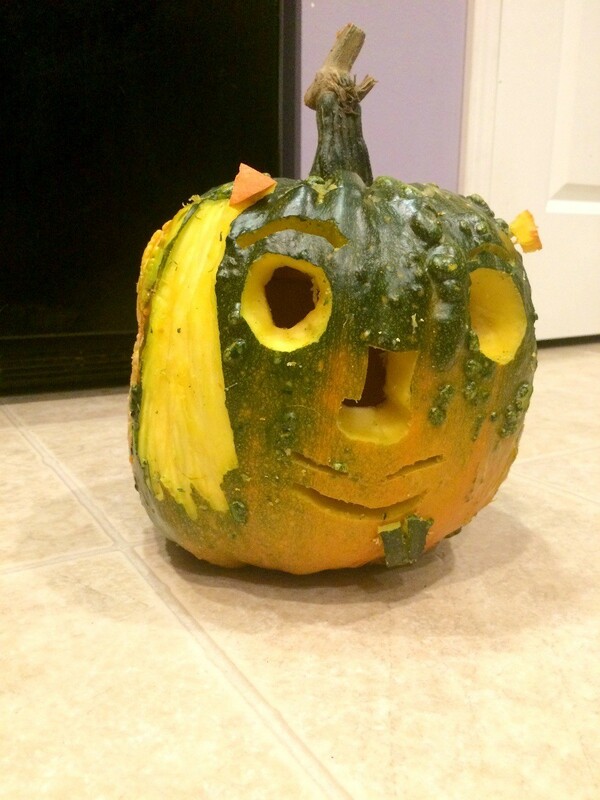 My daughter's pumpkin was much easier to carve. She chose to do her carving freehand. She also wanted to use the tool that just removes the outer layer of the pumpkin. She used it to make hair, which looks really neat. My son, being a teenager, opted to put in very little effort. 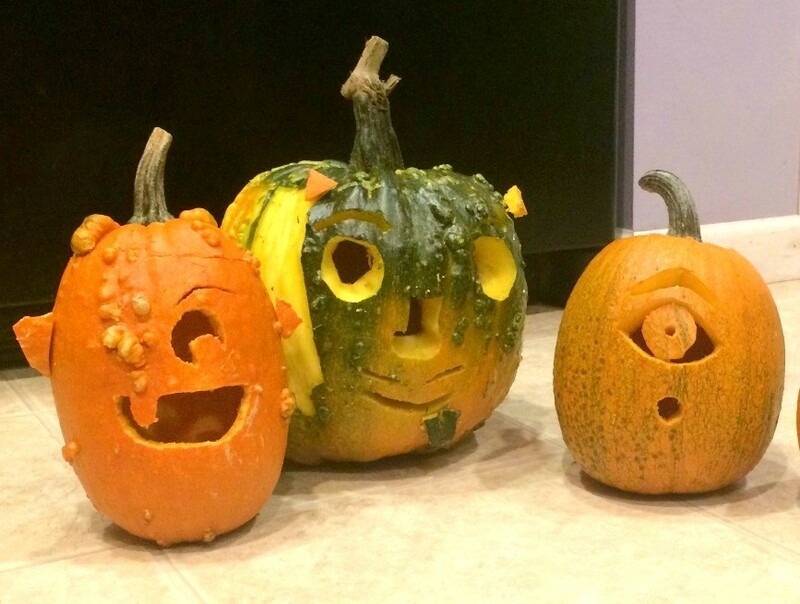 However, his pumpkin turned out really cool! 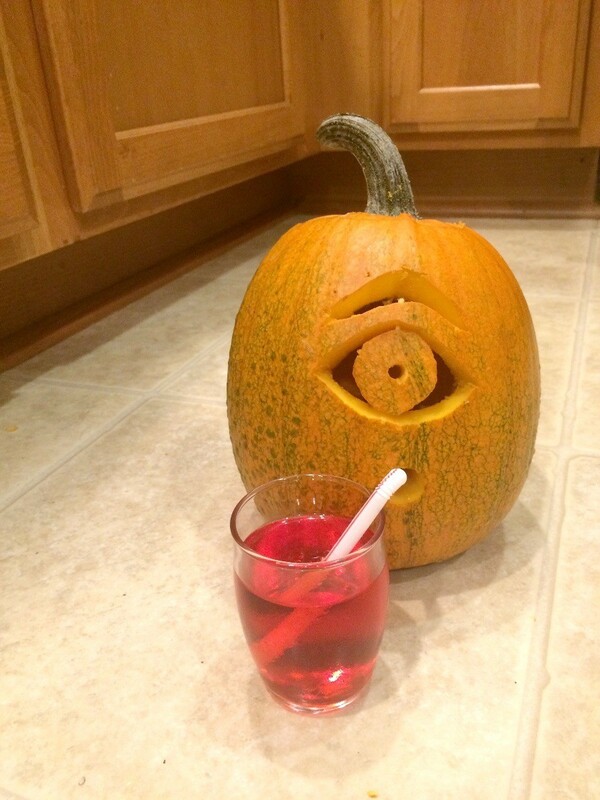 He did a little bit of carving with a knife, for the eye and eyebrow. Then made the center of the pupil and the mouth with a drill and large drill bit. We had some fun giving the little guy a drink too!